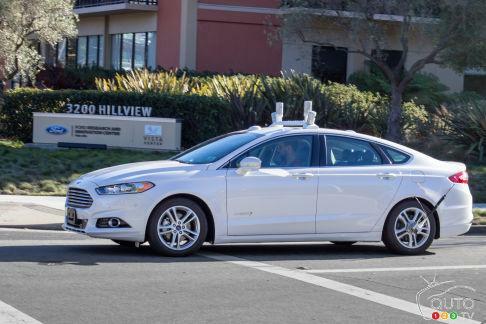 Fully autonomous Ford Fusion Hybrid sedans will be put to the test on California streets next year in order to assess their performance in real-world conditions. The company’s Research and Innovation Center in Palo Alto is one of the largest automotive manufacturer research centers in the region, with a team of more than 100 researchers, engineers and scientists working on advanced and alternative mobility technologies, among other things. For the past 10 years, Ford has studied virtual interaction between a self-driving car and pedestrians, replicating real-world situations to better understand and develop responses to some of the unexpected things that can happen on the road. Last month, Ford became the first automaker to experiment with Mcity, the artificial town designed by the University of Michigan to help companies test their self-driving car technologies in real-world conditions.